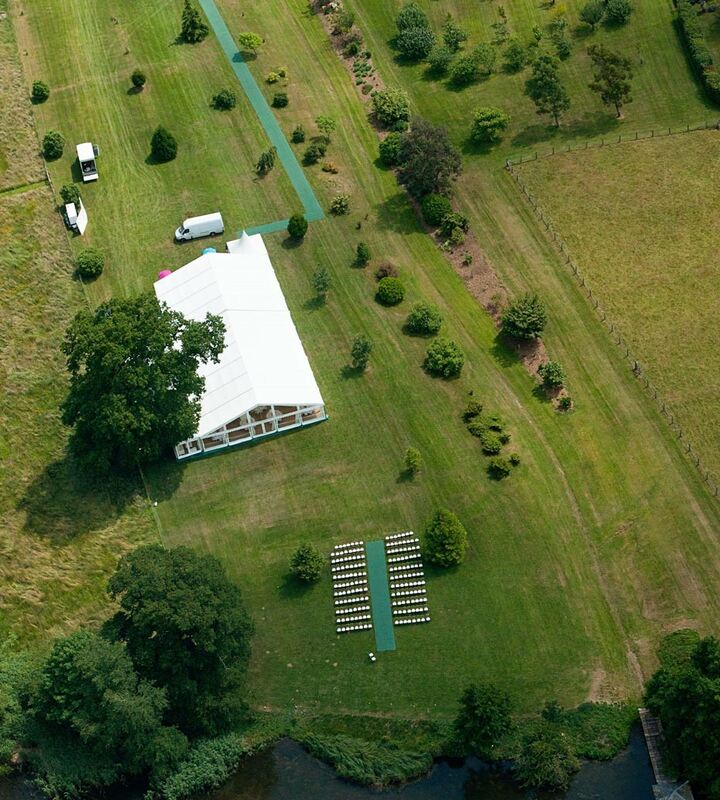 A marquee to host a wedding reception for around 250 guests. The ceremony will be outdoors by the lake, but the marquee needed to be able to fit the ceremony space. The site is in a field which slopes down towards a lake so required a solid floor and needed loos, power and a kitchen. 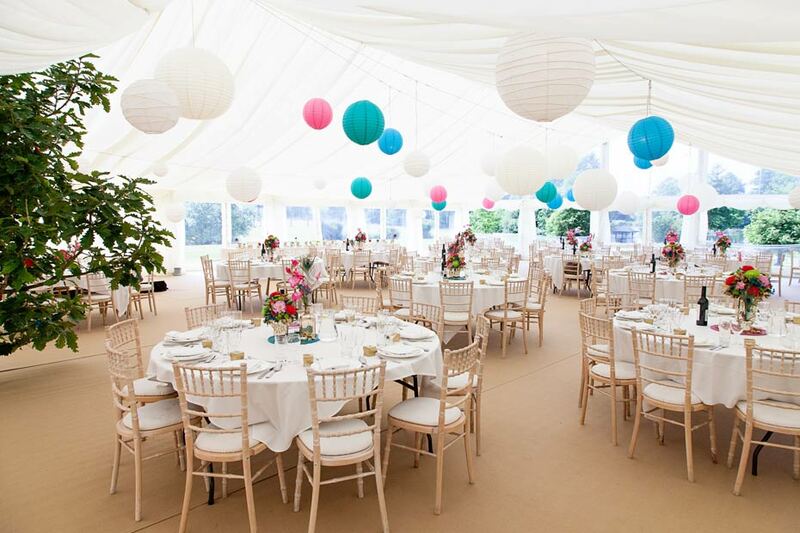 The bride is an interior stylist and had a clear sense of the look she wanted in the marquee. A light airy feel and bright colours where imported. 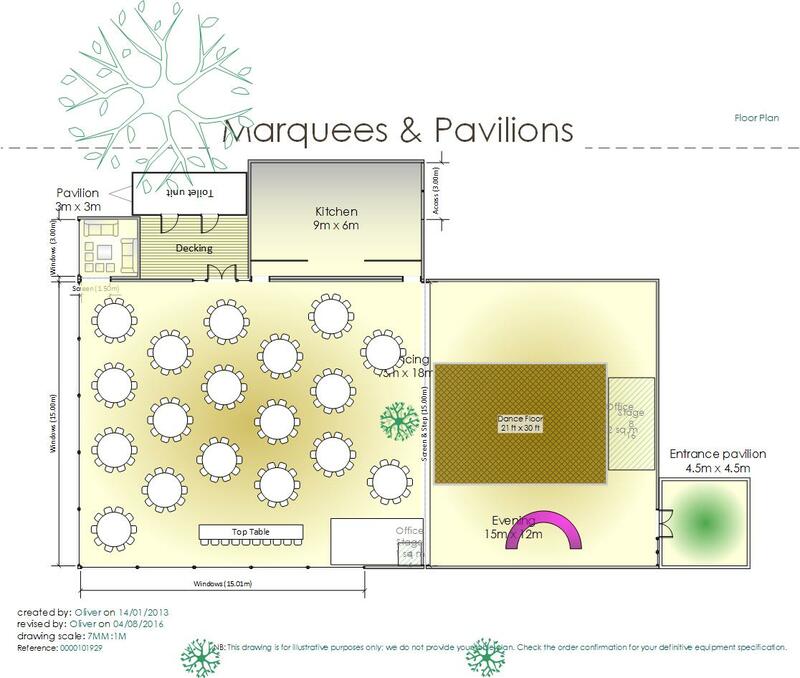 We designed separate marquees for the reception area and dining room with steps between them. The dining room marquee spanned a green oak tree and had a clear gable overlooking the lake and ceremony area. The marquee was built over two days. Coping with uneven ground and a slope gave us a challenge to line up the flooring so that the tree was in the right location, and the far end of the marquee captured the view of the lake perfectly. The marquee complex was large but access to the site was very good and dry weather meant we could get vehicles right next to the marquee area. Marquees & Pavilions installed the structures, flooring, loos and power supply. We installed the marquee linings, carpet, lighting, heating and electrical distribution. 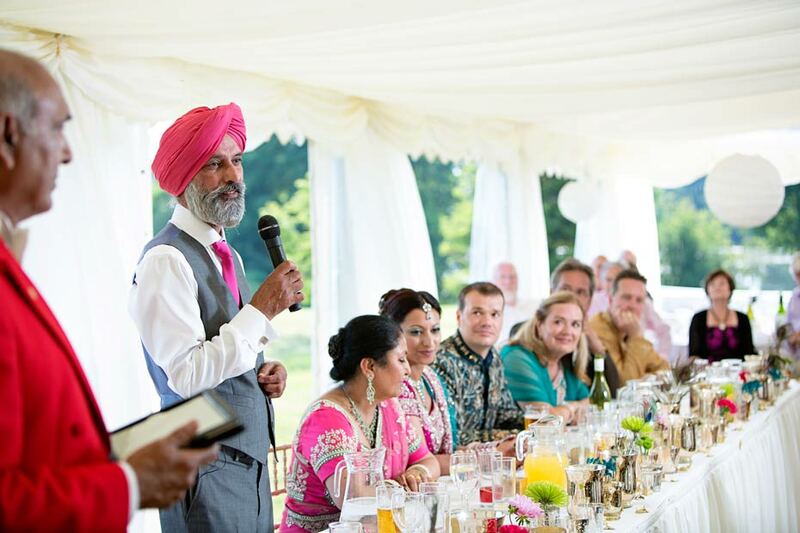 We also supplied the furniture and dance floor in the marquee. The clients used a separate supplier for the guest chairs for the ceremony as we did not want to leave ours outside overnight and they did not want to arrange 250 chairs on the morning of the wedding. Photographs came from Belissima Photography and videography from Film AM weddings.